The Beach Lacrosse tournament guarantees two games and t-shirt. 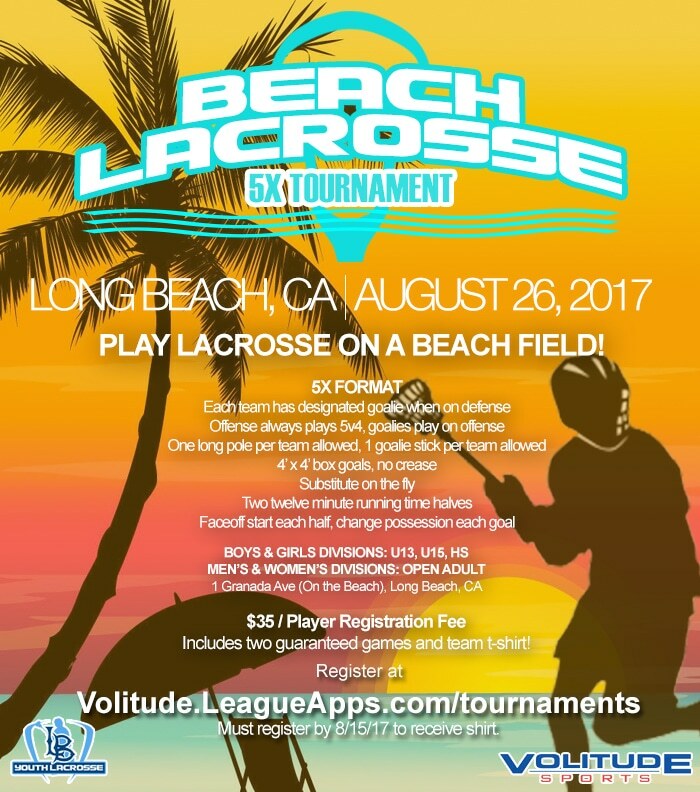 The tournament will feature boys’ and girls’ U13, U15, and HS divisions, as well as men’s and women’s Open divisions. 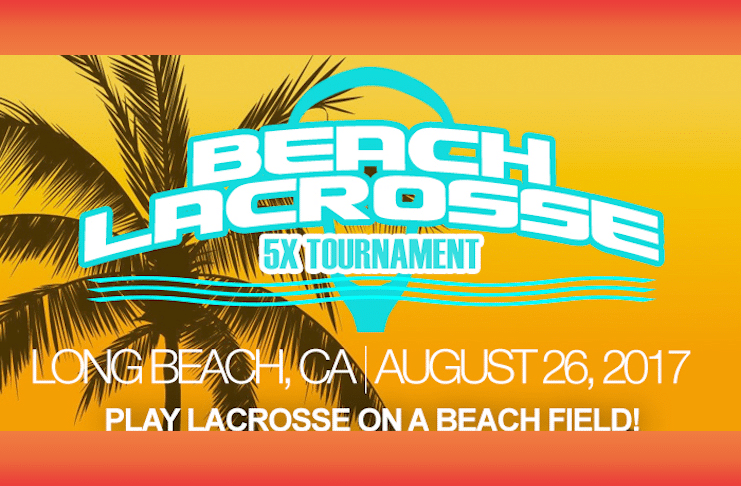 The Beach Lacrosse tournament follows a 5x format. Each team has a designated goalie when on defense. On offense, the teams will play 5v4, with the goalie playing on offense. Teams are limited to one long pole and one goalie stick. The playing field features 4’x4′ box goals with no crease. Substitutions are made on the fly. Games are broken down into two twelve minute running halves. Face-offs will start each half and possession is switched after each goal.